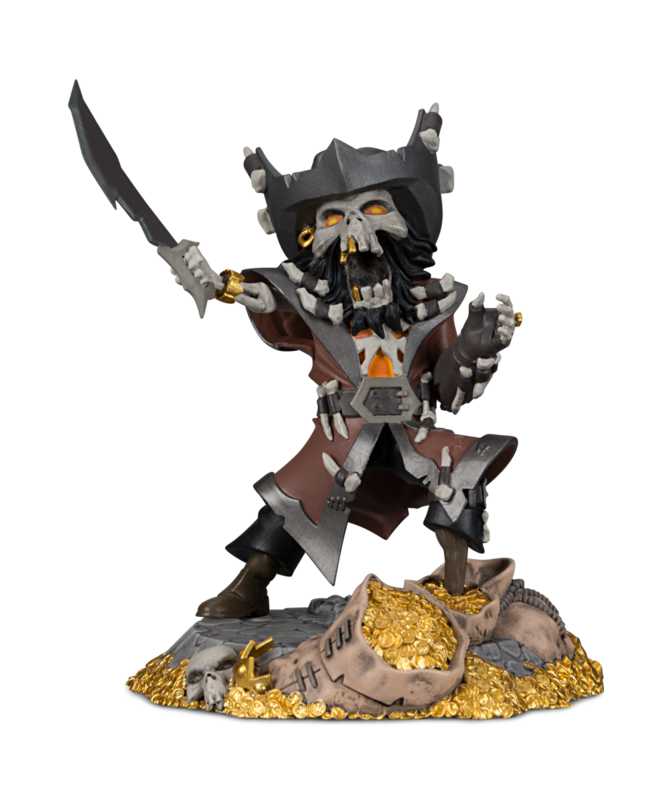 The spooky skeletal pirate captain Flameheart from Rare’s upcoming RPG Sea of Thieves is available as an exclusive figure from the new Loot Crate gaming boxes to celebrate the game’s impending launch. Avast ye, matey! While sailing the ocean blue on the search for loot, you may encounter the dread of the seven seas… Flameheart! This undead scallywag strikes fear into the hearts of even the bravest of buccaneers, so be sure to hide your booty! Before he was an undead pirate, Flameheart was a humble scholar who is thought to be the author of the Sea of Thieves in-game journal. Flameheart’s exclusive Sea of Thieves figure is now on sale in LootCrates Gaming crate. Sea of Thieves will launch on Xbox One and Windows PC on March 20th. You can check out the game’s PC specs, which come in a fancy flow chart instead of required and recommended sets. The game will be getting micro-transactions three months after it launches, but they will not come in the form of loot boxes, so the Loot Crate Gaming box with Flameheart will be the only loot box you’re likely to see for Sea of Thieves.